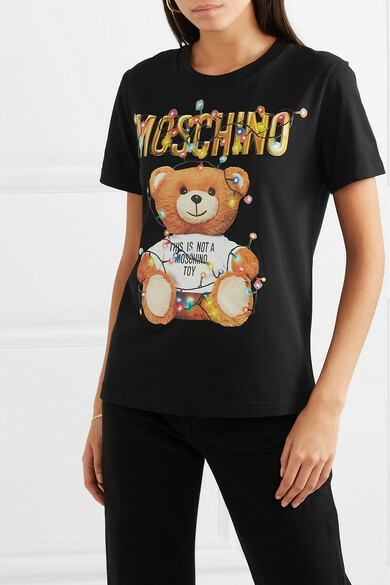 While current Creative Director Jeremy Scott is open about his love of toys, Moschino’s bear motif is actually inspired by an iconic teddy-covered look shown on the label's runway in 1988. 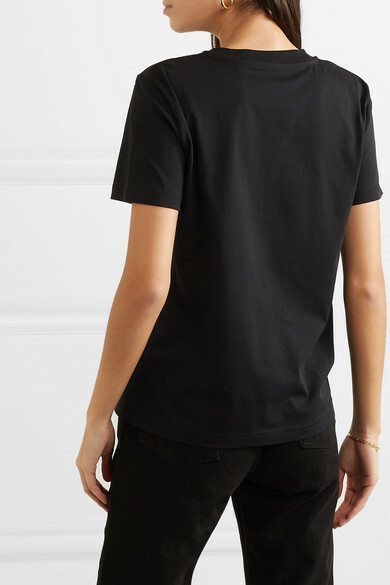 The signature furry character appears on the front of this stretch-cotton jersey T-shirt below a bold logo print. 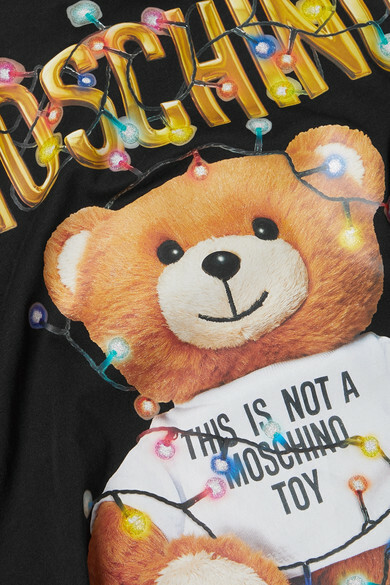 Both are draped in colorful festive lights. 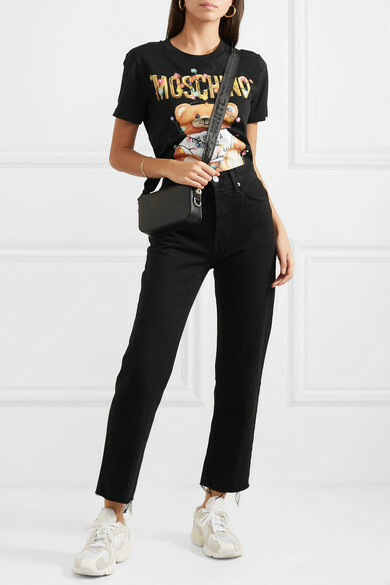 Shown here with: RE/DONE Jeans, Off-White Shoulder bag, adidas Originals Sneakers, Dinosaur Designs Earrings, Maria Black Bracelet.